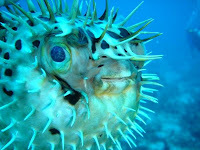 A Pufferfish is rarely a very good swimmer and it must therefore use other ways of protecting it self from predators. this fish can rapidly inflate itself to surprise and hopefully scare away predators. If this technique fails, the Pufferfish will relay on a very potent toxin named tetrodotoxin (anhydrotetrodotoxin 4-epitetrodotoxin). The eyes as well as most internal organs of a Pufferfish are filled with high levels of this neurotoxin. The liver and ovaries are especially toxic, while skin, muscles, blood and intestines only contain smaller amounts of toxin. This is why Pufferfish can be consumed by humans, as long as the fish is prepared by a skilled and very careful chef. The meat is especially appreciated in Japan and Korea, even though cases of lethal Pufferfish poisoning occur each year in these countries. Unlike most frogs, these species are active during the day and often have brightly-colored bodies. 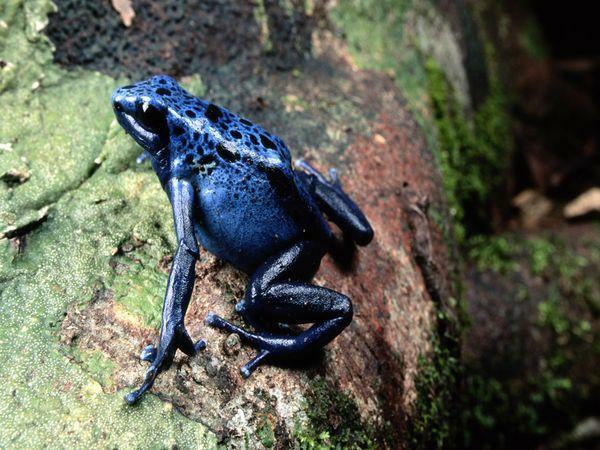 Although all wild dendrobatids are at least somewhat toxic, levels of toxicity vary considerably from one species to the next and from one population to another. Many species are critically endangered. These amphibians are often called “dart frogs” due to the Amerindians’ indigenous use of their toxic secretions to poison the tips of blowdarts. Most poison dart frogs are brightly colored, displaying aposematic patterns to warn potential predators. 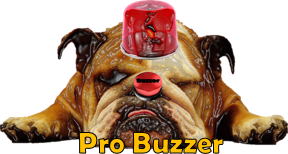 Their bright coloration is associated with their toxicity and levels of alkaloids. Frogs like the ones of Dendrobates species have high levels of alkaloids, whereas the Colostethus species are cryptically colored and are non-toxic. Maybe Stone fish would never win a beauty contest, but it would definitely win the top prize for being The World Most Venomous Fish. Its venom causes such a severe pain that the victims of its sting want the affected limb to be amputated. It is described as the worst pain known to man. It is accompanied with possible shock, paralysis, and tissue death. If not given medical attention within a couple of hours It can be fatal to humans. 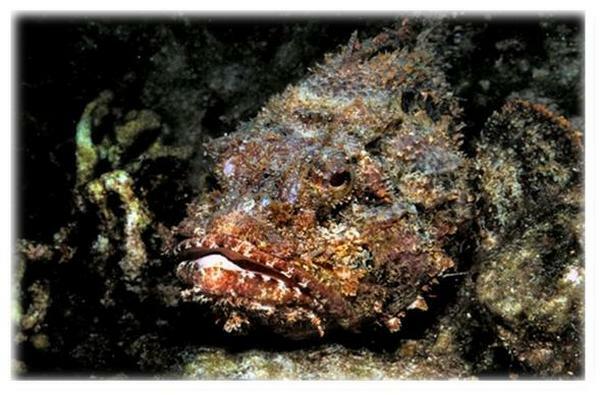 Stonefish stores its toxins in gruesome-looking spines that are designed to hurt would-be predators. Stonefish mostly live above the tropic of Capricorn, often found in the shallow tropical marine waters of the Pacific and Indian oceans, ranging from the Red Sea to the Queensland Great Barrier Reef. This small creature, about the size of a golf ball, or even smaller at times, is highly toxic to humans and there is no known antivenin for the venom of the Blue Ring Octopus, which is highly poisonous. 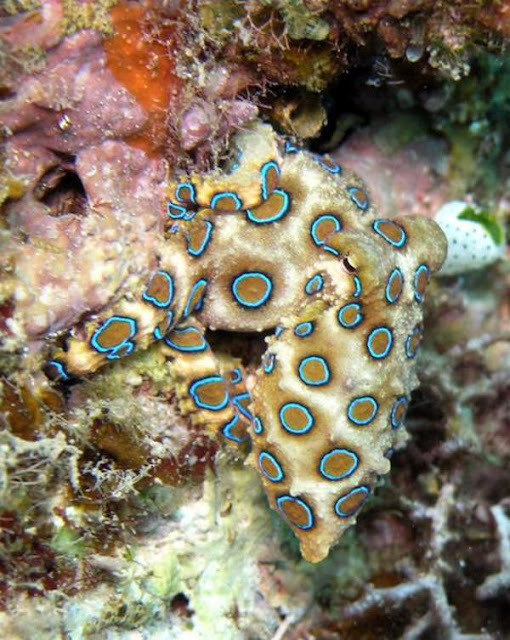 The venom of the Blue Ring Octopus contains neuro toxins, and can lead to paralysis, and will, if left untreated, end up in cardiac arrest for the victim. The venom is such that the victim is aware of his surroundings, and is able to understand what is taking place, but can not breath or move. The tiny poison octopus carries enough venom to kill about twenty six humans.It is possible to make a recovery from the venom though provided that supportive care is given to the victim of the bite. Rescue breathing for several hours will be necessary.The Blue Ring Octopus is a very reclusive and secretive creature so its encounters with men are quite rare, which, considering the highly toxic nature of the animals is fortunate. 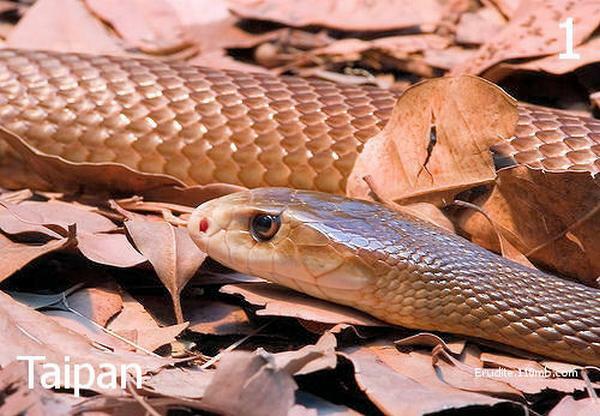 Native to Australia, the Inland Taipan (Oxyuranus microlepidotus) is considered to be the most venomous snake on Earth. Its venom, a neurotoxin, is 50 times as toxic as that of a cobra and can kill an adult human in under 45mins. One bite from this hardy serpent containing only 110mg is enough to kill about 100 people, or 250,000 mice.